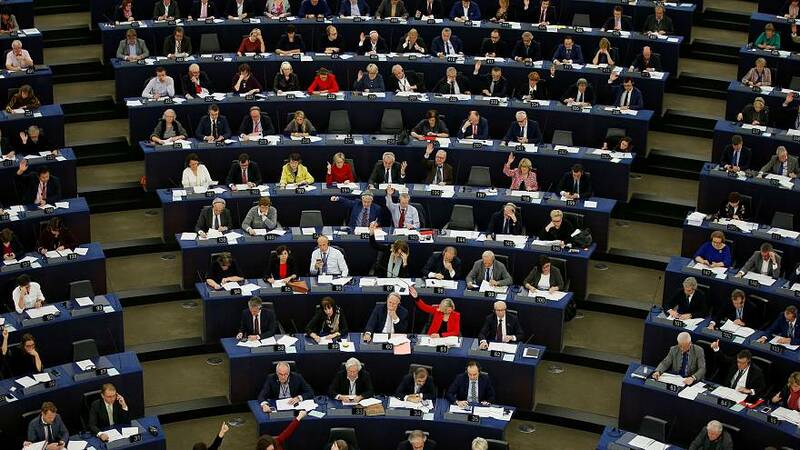 Centre-right MEPs have been criticised for allegedly requesting a secret ballot for a vote on… transparency. MEPs normally have their voting choices recorded. Despite MEPs from the EPP deciding to request a secret ballot, the European Parliament has not received a formal request. But that could happen anytime in the run-up to Thursday’s debate, which will see MEPs consider whether to tighten rules on transparency around how private interests influence politicians. “This vote will be the most important decision on lobbying transparency in this legislature,” said Green MEP Giegold. “It is high time for citizens to know which lobbyists influence MEPs when they write new EU laws. “Parliament has the strong tradition to decide important issues by a roll-call vote listing who voted yes, who voted no. Brussels is said to have 15,000 lobbying organisations, who attempt to influence how EU legislation evolves. Campaigners say the proposed reforms that will be voted on this Thursday do not go far enough but are, nevertheless, an important step forward. Olivier Hoedeman, from the Corporate Europe Observatory, said the changes would mean MEPs being encouraged to only meet registered lobbyists and that meetings with politicians in key decision-making roles would be published online. He said it was “crucially important” to make progress on lobbying transparency ahead of European elections in May. Pedro Lopez, spokesman for the EPP group, told Euronews: “What in the name of ‘transparency’ some wants [sic] to impose as a rule in the European Parliament means exactly the same if in the name of transparency all the journalists were obliged to declare their sources of information every time they write an article. Nothing less, nothing more."